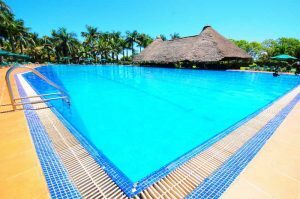 Cheap Affordable Jinja Hotels Uganda - Budget Hotels in Jinja, 1,2,3,4, 5 star Mid range Jinja Hotels Uganda. Set on over 30-acres on the banks of the River Nile, Jinja Nile Resort is located just 4 kms from Jinja town and 85km from Kampala City .The Resort’s strategic location offers a panoramic view of the great River Nile. The resort has 140 guest rooms all designed with a double & single bed. The rooms are in colonial-type cottages, and allow for plenty of privacy. All rooms are en suite, have a small sitting room, work desk and a private Nile facing balcony. The Resort has 3 strategically located restaurants equipped to offer professional service to international standards. Each restaurant has a Nile-facing terrace. The Main Restaurant comfortably seats up to 150 guests at a time. It has a terrace, which overlooks the swimming pool, and offers an excellent view of the Nile and the surrounding countryside. The Haven hotel Jinja is a serene and relaxed River Lodge, rated as one of the finest hotels in Jinja region. The hotel location offers visitors an opportunity to enjoy the tranquility and the breathtaking view over the starting point of rafting at the first waterfall of the river Nile. The hotel has 4 different categories of accommodation and 9 bandas/bungalows in total. 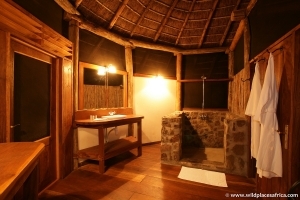 The hotel rooms are designed with natural materials, earth colours and the influences of local worker/artists all combine to create an undeniably African style. Everything in the hotel was designed with the environment in mind. The use of solar power, solar heating, septic tanks and rainwater catchments all create an eco-friendly atmosphere. The restaurant and bar are in the Centre of the lodge overlooking the mighty river Nile and the waterfall. While enjoying the delicious meals at the dining room of the hotel one can watch the fish eagle, fish otters, monitor lizards, monkeys and numerous species of birds. 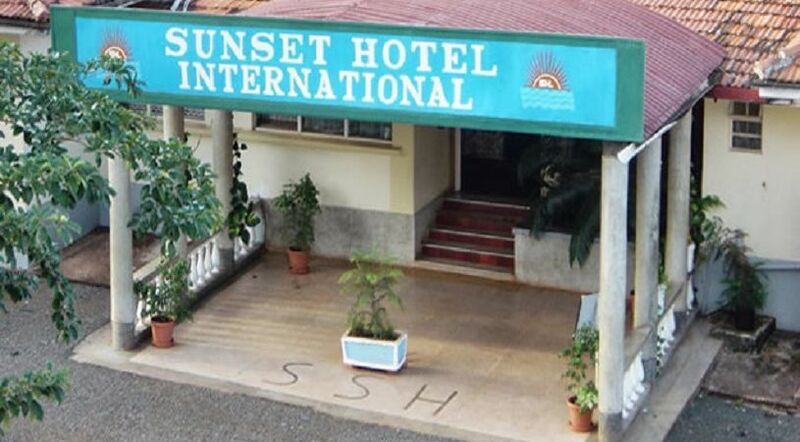 Sunset Hotel International is located in the Centre of the tourism and cultural downtown of Jinja town. Jinjas’ only convention hotel, the Sunset Hotel features luxurious accommodations and modern conveniences that suit the needs of business and leisure travelers alike. The Multi -story hotel captures the essence and spirit of Jinja and provides easy access to cultural and tourism destinations. And when it’s time to rest and recharge for the following day’s adventures, stretch out a plush pillow-top mattress a signature feature of our soothing accommodation. 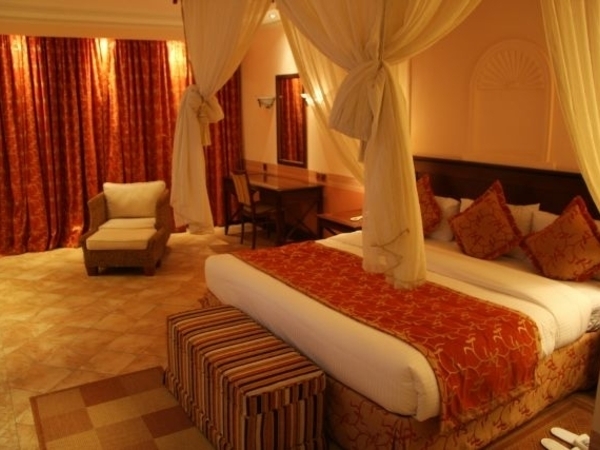 The hotel has 68 rooms (122 beds) designed and furnished to pamper you with comfort. Room types include standard, deluxe and executive. Every room is fully furnished, air conditioned and equipped with a fridge and television set. The hotel also has 3 Conference Halls that offer a serene environment for private meetings, workshops and exclusive functions. The halls accommodate 50 – 150 participants. Budget weddings and parties of any kind are organized to our guests’ satisfaction. Hotel Triangle is a styled 4 star hotel situated within walk able distance from Jinja town. The hotel guarantees comfort, relaxation and value for money. 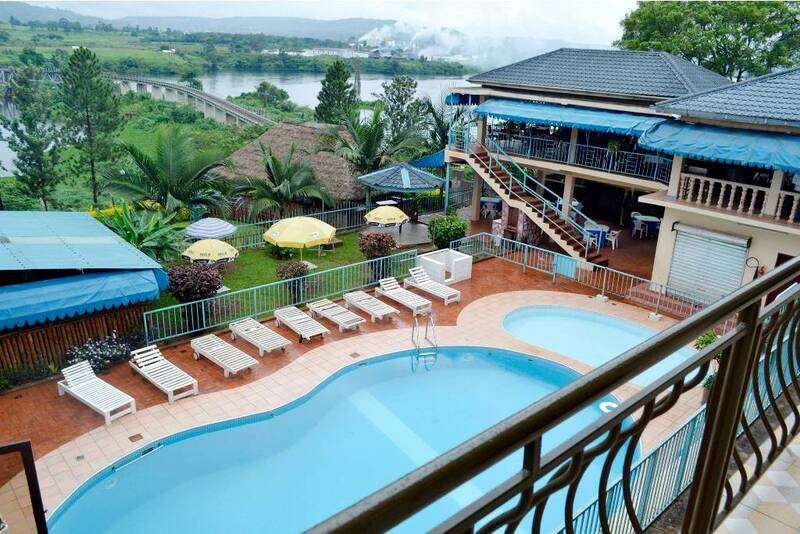 The hotel’s strategic location provides fantastic views of the Victoria Nile at what was called the Rippon Falls. Hotel Triangle offers comfortable rooms all with en-suite shower facilities, DSTV, video and 24 hour room service. Hotel triangle has a Restaurant that provides both traditional and international tastes with complimentary menu selections. The hotel has Modern and excellent conference facilities to cater for all your business travel needs. The main conference hall accommodates up to 150 participants. * Rates are per night and inclusive of breakfast. * Room rates subject to local government hotel room tax. * An extra bed can be provided. 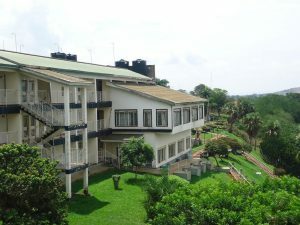 Paradise Hotel on the Nile is a unique budget hotel in Jinja that was named after its proximity to the River Nile. It’s legendary for its excellent facilities, original atmosphere and good value. Paradise Hotel has excellent value hotel accommodation with modern facilities, for business and recreational travellers. The hotel boasts of 71 spacious rooms that include all the features that will make your stay comfortable and convenient. The hotel also has superb restaurants in different locations within the hotel grounds with some commanding a panoramic view of the river Nile, the railway bridge crossing the river Nile and the Owen falls dam. The Apetit’ restaurant is located on the Ken wing of the hotel and breakfast is served here for all residents staying on this wing. It is also the ultimate venue for meetings/conferences, private parties, banquets and corporate functions. The hotel has conference halls that accommodate up to 100 guests, 80 guests and meeting rooms that cater for 20 guests and 1 meeting room that sits 8 guests. All hotel meeting rooms are equipped with facilities like Air-conditioning units, PA systems and LCD projectors to ensure a comfortable meeting atmosphere. Note: All rates include bed and breakfast and a local government tax of Ushs2, 000- per room per day. Nile guest house is situated in Jinja. The Guest house offers high quality accommodation, in a pleasant and serene environment, at affordable rates. At guest house, visitors have the pleasure of having sumptuous international and local meals of their choice. Are you looking for a cozy homely environment? Don’t think twice about Nile Guest House – your home away from home! Nile Guest House and Apartments is located along Jinja, Kayunga (Bujagali) road at the former Nile Breweries Limited staff quarters. The Guest house boasts its proximity to the central business district of Jinja. Central kitchen and dining room.